Knopf Books for Young Readers, 9780553538106, 336pp. "So real it hurts. "—David Arnold, New York Times bestselling author of Mosquitoland. A summer of basketball, first love, and the friends who've got your back when life gets crazy, set in a trailer park in small town America. Not when his mom takes off. Not when he gets suspended from basketball. Not when he cracks four ribs jumping off a bridge to impress a girl. Not when he and his best friend Creature get into trouble deeper than they know how to handle. 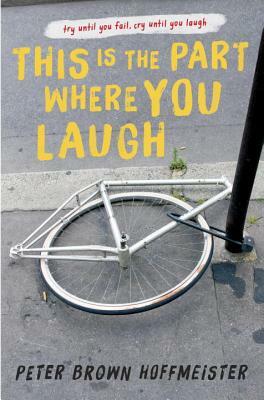 From acclaimed author Peter Brown Hoffmeister comes a painfully-funny, sometimes-crushing story of growing up, making mistakes, and pressing on, against the odds.